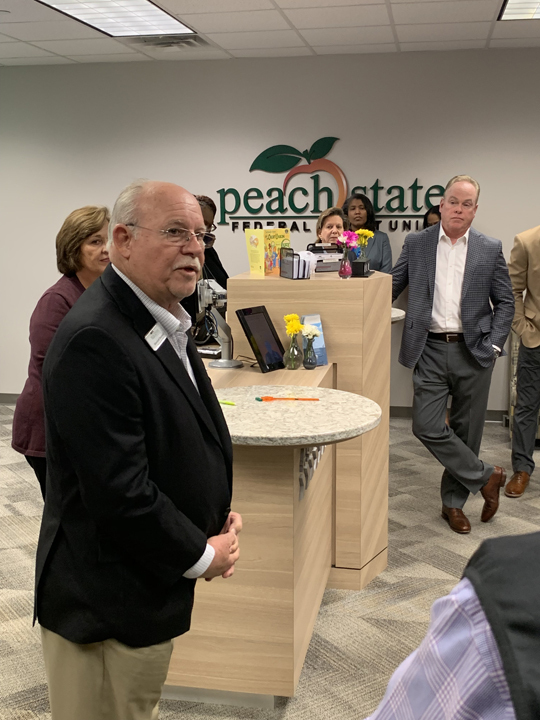 Associated Credit Union recently chose Consultants and Builders, Inc. to re-imagine their existing main office branch in Peachtree Corners, GA to incorporate the brand new prototype interior look and feel. This branch will include (2) teller pods, a new entrance, safe deposit boxes, a coffee bar, and dynamic marketing displays. 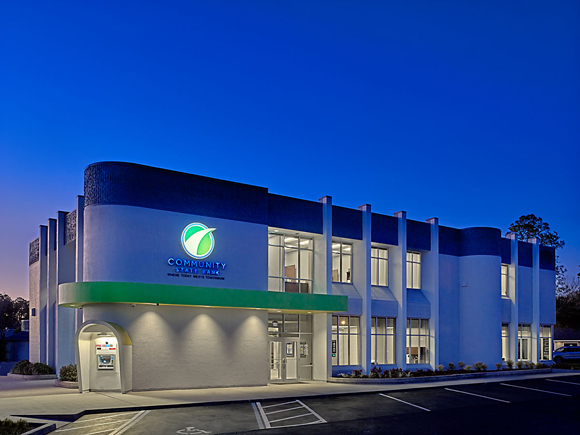 CBI recently completed the main office renovation for Community State Bank in Starke, Florida. The project was divided into four phases to allow for continuous operations during renovation. 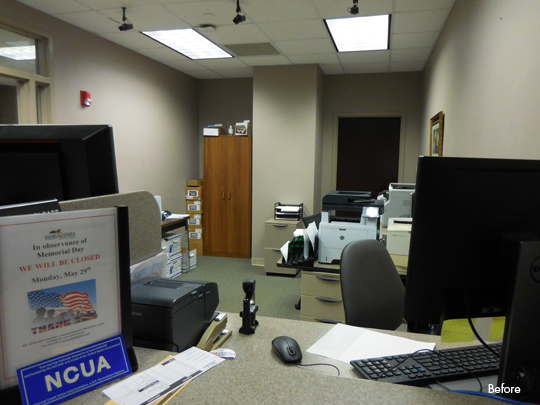 The retail branch was updated with new flooring, ceilings, lighting, furniture, artwork, window blinds and millwork. 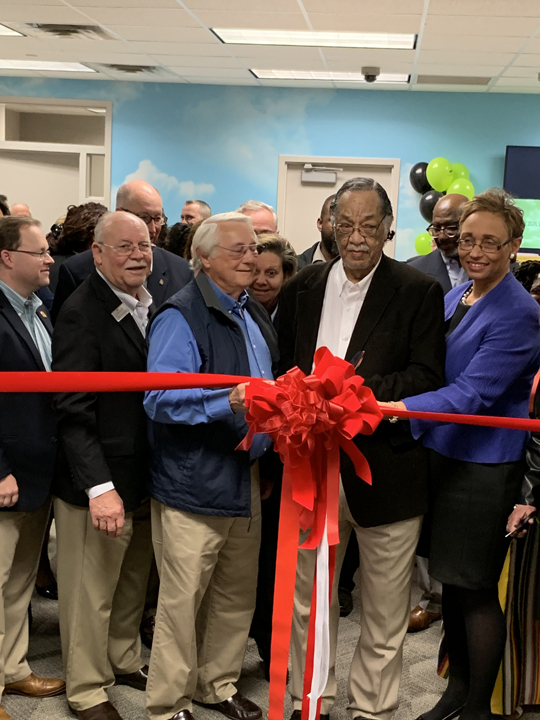 All systems and services were replaced and updated including HVAC, bath and kitchen plumbing, electrical and lighting both inside and outside the building. Security systems and bank equipment were brought to state-of-the-art. Window systems were replaced and updated to high efficiency insulated glass throughout the space including in the lobby and community room. 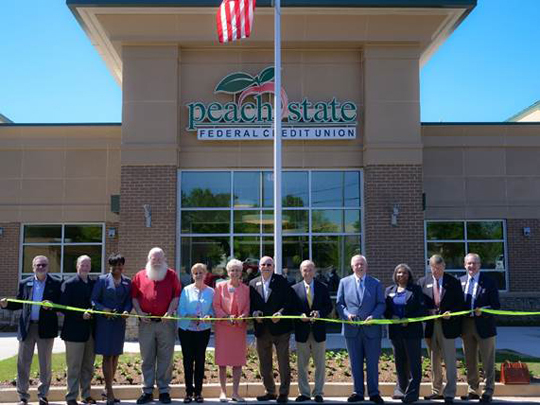 A new awning-band, using the bank’s logo colors, was constructed to enhance the bank’s brand image and to also provide protection from the weather to the bank’s customers. To further incorporate the brand, all of the original brick was painted to match the new color scheme. Parking areas were paved, striped and brought to a like new condition. 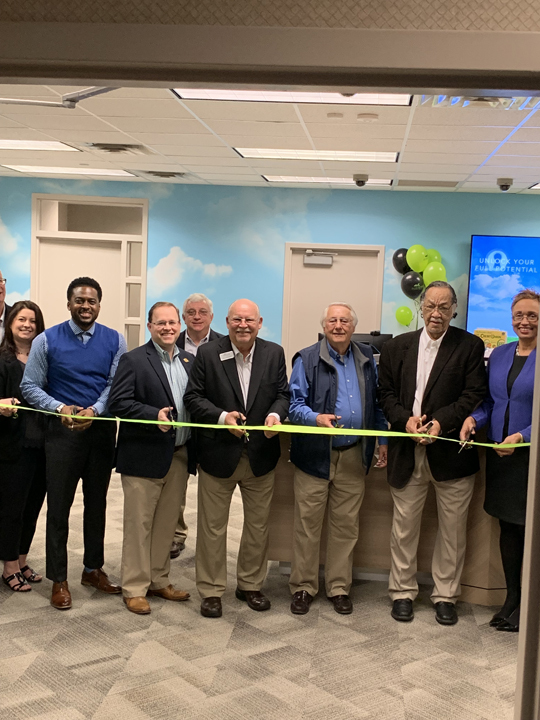 “The Future is Here”……Consultants and Builders, Inc. just installed two NCR Interactive Teller Machines at Associated Credit Union’s main office branch. 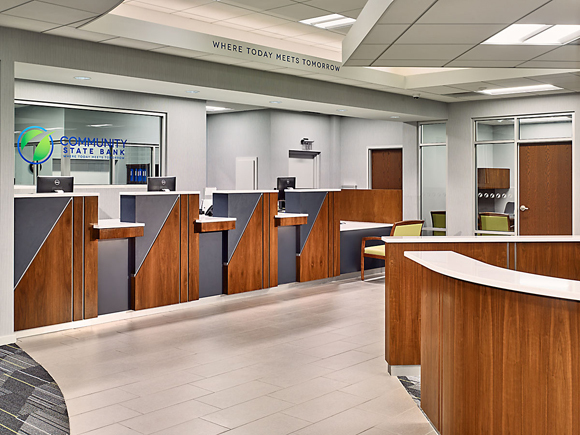 The credit union’s main office previously had no drive-ups and now has two full service ATMs with teller assist. Members can simply touch the screen and communicate with a teller in real time, with the teller guiding the member through the transaction. 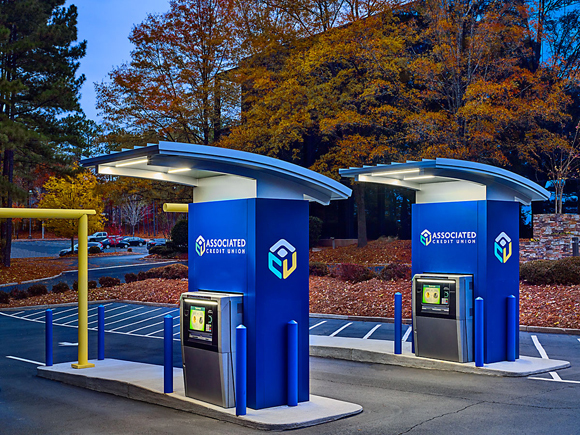 There is no need for tubes under the ground or a drive up window or even full time tellers, as the Interactive Teller Machines can handle a number of different transactions into multiple accounts. 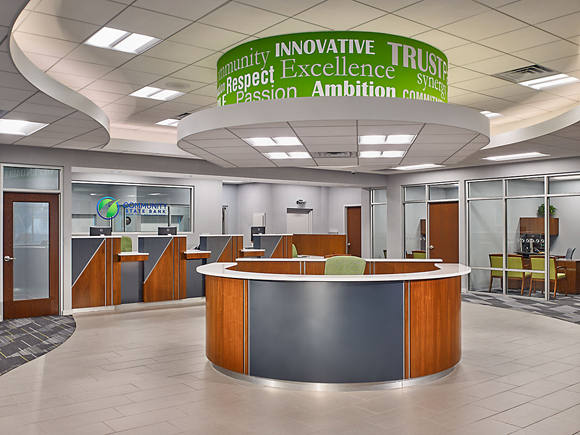 Signature Bank recently selected CBI for a branch interior remodel in Sandy Springs, GA. New carpet, paint, decorative lighting and furniture will be included in the remodel. In addition, we are replacing the teller line with a teller pod which will include a built-in flat panel TV for marketing and a teller cash recycler. CBI is collaborating with CBSi, a bank equipment vendor, on the remodel project. Financial institutions count on CBSi for installation of new equipment, upgrades for outdated or faulty equipment, service and alarm monitoring. The project will be complete in December.